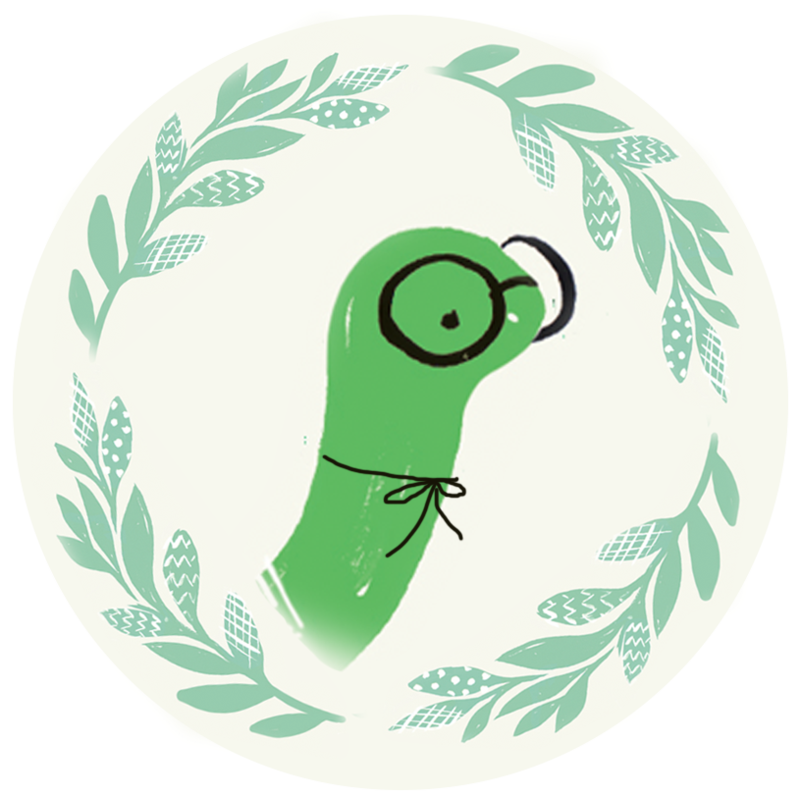 We at Fabricworm would like to say thank you to all of our worms out there for getting us to 100k likes on Facebook! How do we do this? By doing a massive giveaway of course! 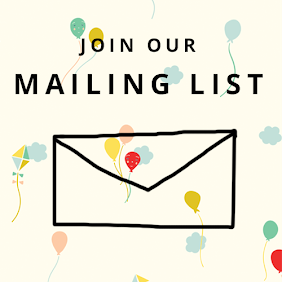 Enter for a chance to win a prize valued at over $200 that includes a Fabricworm tote and T-shirt, a Birch/Aurifil Thread Box, two Birch Organic pre-cut Fat Quarter Bundles and a Kona Solid Fat Quarter Bundle! Congratulations! With the fat quarter bundles and thread I would make lap quilts. I would wear the T-shirt proudly. I would use the tote for my to-go projects. Thank you for the amazing giveaway. I'd make lap labyrinths and cloth toys! I would make fabric wings for my daughter! And of course the tote would be my fabric store go-to bag! Awesome giveaway! 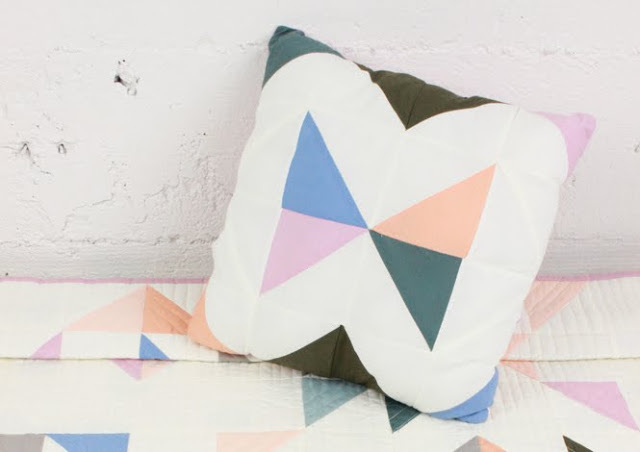 I'm all about quilts and pillows right now. Very nice - I can see a wonderful miniquilt and a great bag to tote it in!!! Congratulations! Looks like a quag tote and other goodies to be made from the giveaway goodies. Congrats! And thank you for an opportunity to win another fab giveaway! Oh, the wonderful uses! I think I would make some personalized pillow cases for the nieces and nephews. I'm a bag maker and I am sure I could make some beautiful items with this fabric. I looove Aurifil thread too! 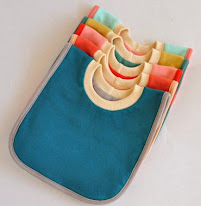 I almost always use reusable bags when shopping and I would so proudly carry that baby around! That's terrific. Congrats! Looks like a great giveaway. Thanks for the opportunity! Awesome!!!!!! Always needing good and fun fabric!!!! My quilting club needs supplies to make charity quilts . . . I would donate this lovely collection to them. I'd love to use my winnings to experiment with some new bib patterns! Congrats on 100k! I'd love to make some bags with all the fabric. Congrats on 100k!! I'd share the winnings with quilty friends and make quilts or bags with what I kept! Well I would be a well-dressed quilter while quilting! I would make a lap quilt for myself. Still don't have one since I have given all the quilts I have made away. I'm getting ready to start the farmers wife 1930s quilt and I need some solids! This is a great giveaway! Thank you! Would love to win. 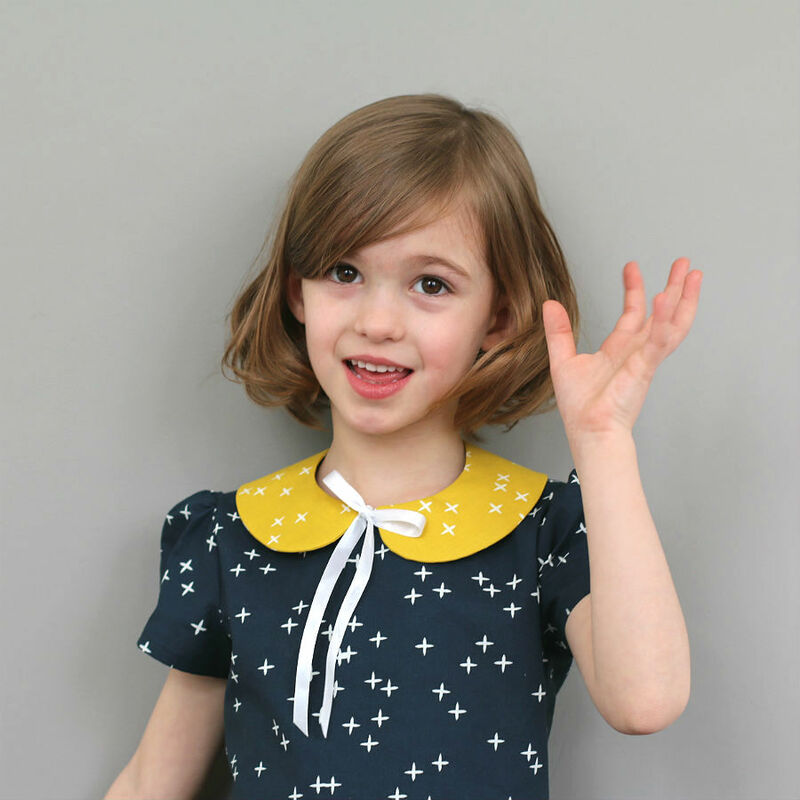 Want to get some things together to make dresses for me and cute clothes for my little girl. 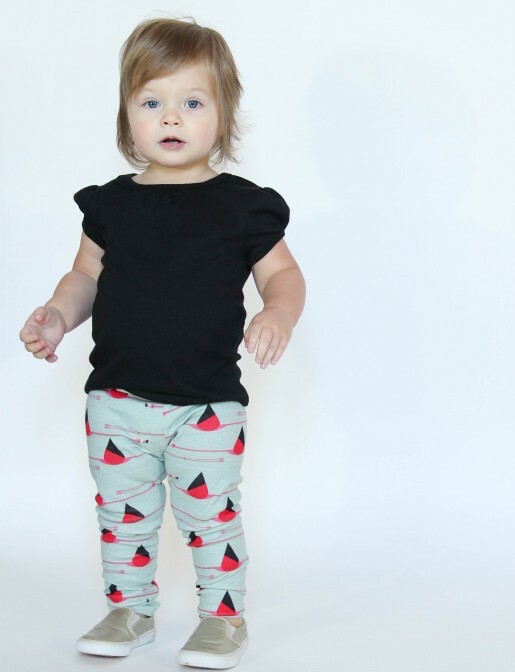 LOVE all of the cute fabrics! CONGRATS!I'm a maker of Baby Quilts,mostly Charity!So I would use the fabric+threads for those! Thank You for sharing a great giveaway! Oh, I'd make a quilt of course! Sounds like a wonderful idea~ congrats on the arrival! Everything would go into the stash and then into quilts, undoubtably! I would buy the fixings to make a quilt (finally!) for my daughter. Or just a lot of fabric to make a lot of little girl dresses! I would make zip pouches, binding pouch and a lap quilt or two! Thank you so much for such a fantastic giveaway opportunity and congratulations!! With the fabric I would add to a couple of long term projects I have going. Thanks fir opportunity! With the fabric bundles, I would mix and match them to make table runner s for each holiday. I have other fat quarters that need mates, so with the solids and the prints, I know they'd be happily engaged in a new table runner or two! I love throw quilts in bags so that's probably what I would make in the T-shirt I would wear just for fun !! Wonderful!!! I would make quilted projects like a lap quilt, table runner, and placemats!! Thank you! Congrats! 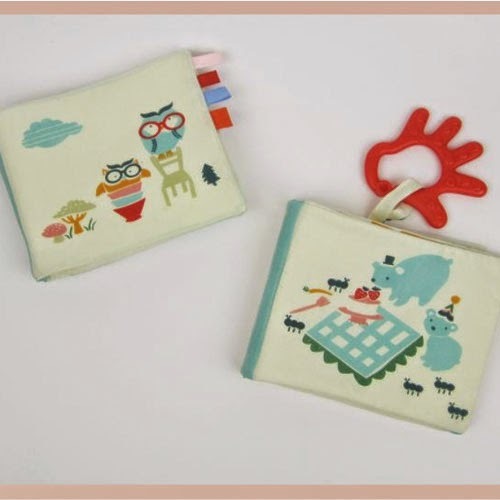 I would love to make accessories for the baby with the fabric bundles! Cngratulations!!! With all the fabric I will finally do a lap quilt for me, and try some machine quilting with the auroral threads. I would use it to sew for my family for Christmas and to make things for my home we are renovating. Congratulations! I need to make a quilt for me to keep at work on the back of my chair. Several other people keep a crocheted blankie, but I don't crochet. Congratulations on your 100K FaceBook likes!!! And thank you for the opportunity to enter this drawing for a chance to win some beautiful fabric!!! Best of blessings! I hope I didn't just comment 4 times. Trouble signing in and staying signed in! I would make clothes for my kids or try my hand at a quilt! Not surprised you have so many fans. Wonderful fabric collections..I esp. love the bundles. I have a grand daughter....on the way. I of course am making all kinds of things for her and her Mom! More beautiful fabric would be most welcomed! Thanks for the chance to win. What a haul!!! Being a quilter, I have no doubt I would make a quilt with these gorgeous supplies! What an amazing prize! I make bags and am venturing into quilts so this would be perfect! Congratulations, you have got these many likes because of the quality of your fabrics and service. You deserve the recognition. Congrats on all your likes. I'd love to win this and can guarantee it will be put to good use. Congrats on 100,000 + likes! Thanks for the chance to win. Yeah! Congrats and what an achievement! Way to go! Thanks for the chance to win - I keep my fingers crossed! Love the tote bag since I always bring my own bags to the store, this would come in handy. I have a stack of fat-quarter-friendly quilt patterns that would be wonderful to use with the bundles. Thanks for the chance at the great giveaway! 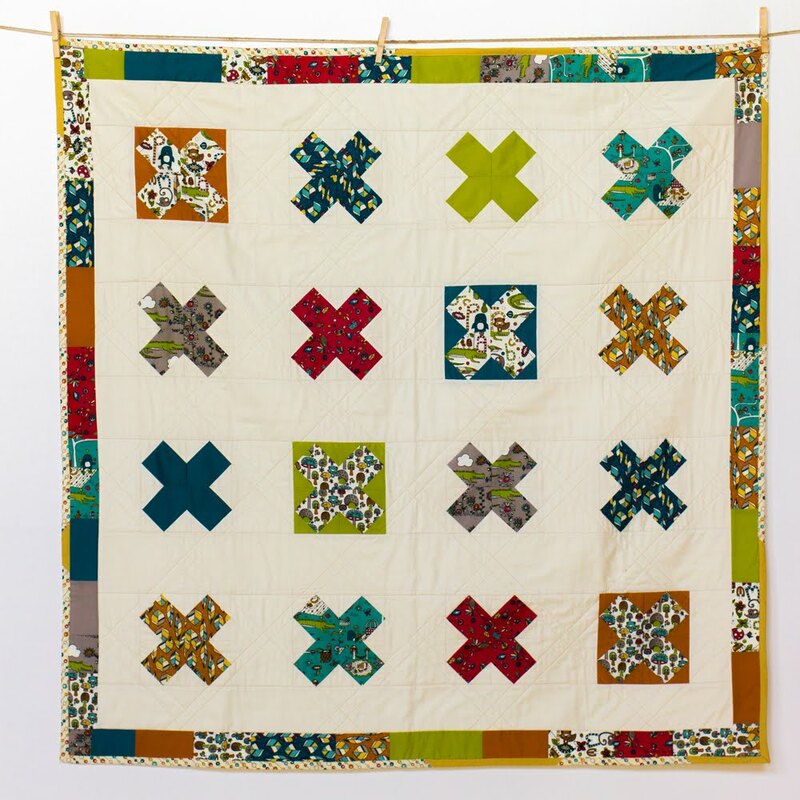 I am a quilter so any fabric and thread that I win will go towards a quilt or two or as many as I could make from it - this is a great give away! After cuddling it and maybe rolling around a bit with it, I would probably make bags. I'm into drawstring backpacks at the moment. 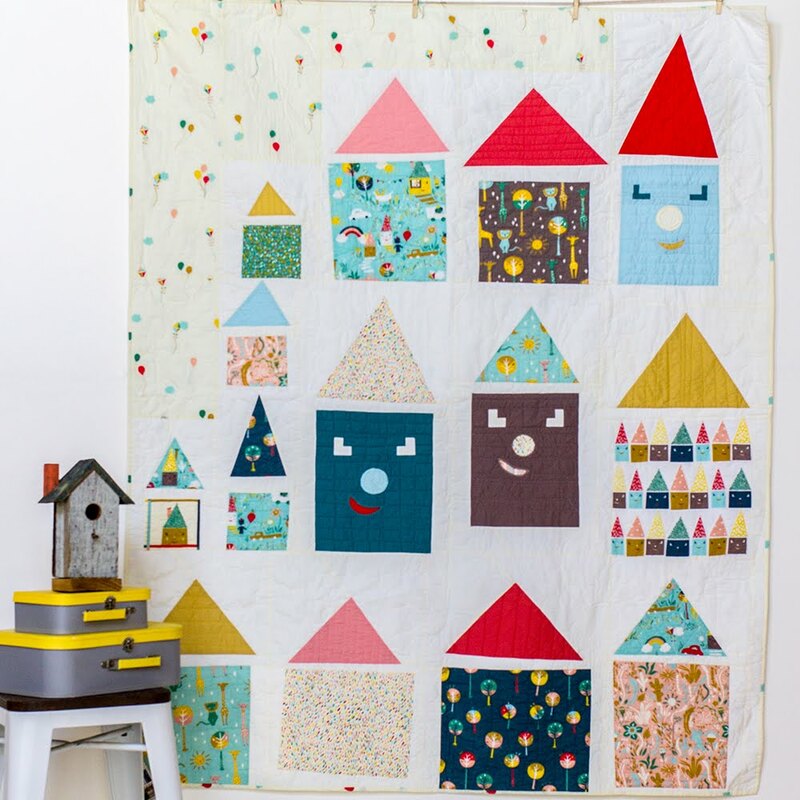 Make some quilts! Thanks for a great giveaway. Love all the free giveaways and colorful ideas on this site! I would use the funds for buying fabric for my bag business, so this would be a huge help. Very fun giveaway! Needing some new quilting fabric! Love everything Birch! Great prize..add it to my stash& pat the pretty fabric lol. I'm always looking for quilting fabric! I am also considering sewing a makeup bag. I love your fabric. Just more for my stash- maybe I'll actually get around to making that I Spy quilt! What a great giveaway! I'm into making tablerunners currently. These fabrics would work great! I have been wanting to make a quilt for sometime now and this would be nice to win, thanks for the opportunity. Would love to win this great bundle. Congratulations! I see a quilt come out of this prize! 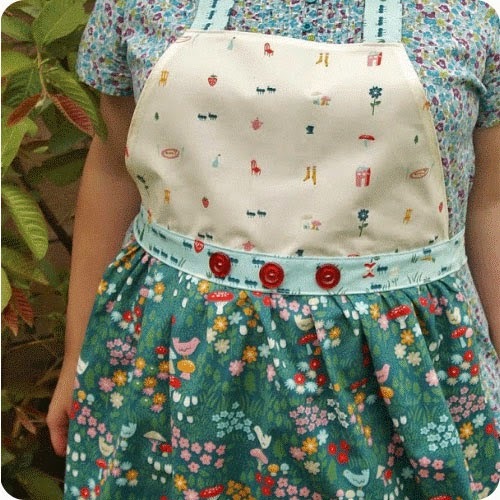 I would make Smitten by Jen Kingwell with the fabric! Congrats! this would bean awesome giveaway to win! Thanks! 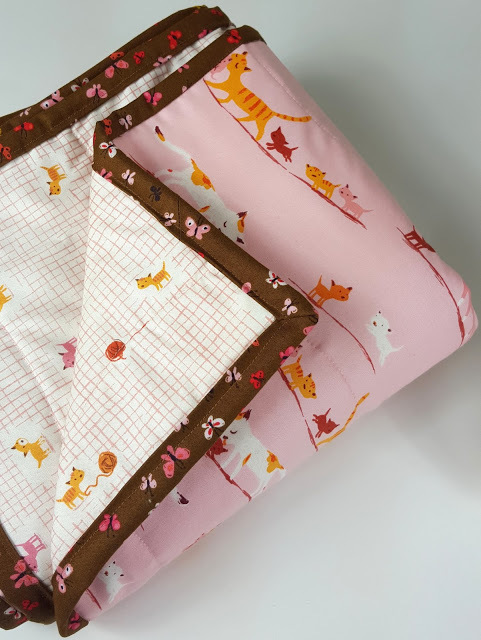 Quilts and baby clothes! Love you guys! A very generous give-away. I'd love to win. I would love to make a solids quilt with those colours! What a great milestone and amazing giveway! I can just picture all the quilts I could make with that bundle now! It isn't just that you have great give-aways, you are also a great company. Fans like you because of the integrity of your work. Congrats! What a lovely prize - would enjoy winning that for sure. Love love your fabrics that I can't find anywhere else! And your lovely email. They always inspire me. I would certainly make a quilt with the fabrics!! Wonderful giveaway, thanks!! I would make my first solids quilt and use the other bundles to teach a friend how to quilt as he just bought a sewing machine. And I'd swagger around town in the t-shirt and give the tote to my mother-in-law. Pillows and a throw for my remodeled craft space. This would be so cool as I just started teaching again. Congrats! I would, of course, make quilts! Congratulations! Totally well deserved - your fabrics are beautiful! 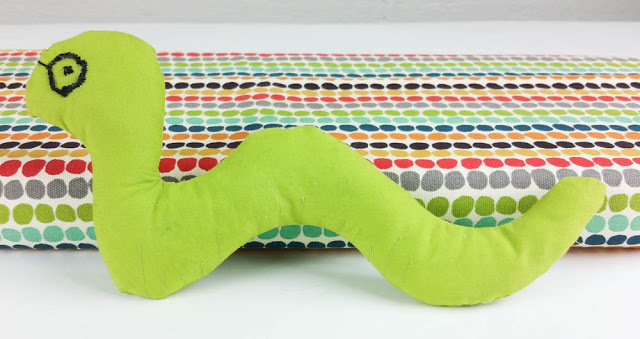 Thank you for this great giveaway - I would make some lap quilts for my nephews! And keep the t-shirt and tote for myself! 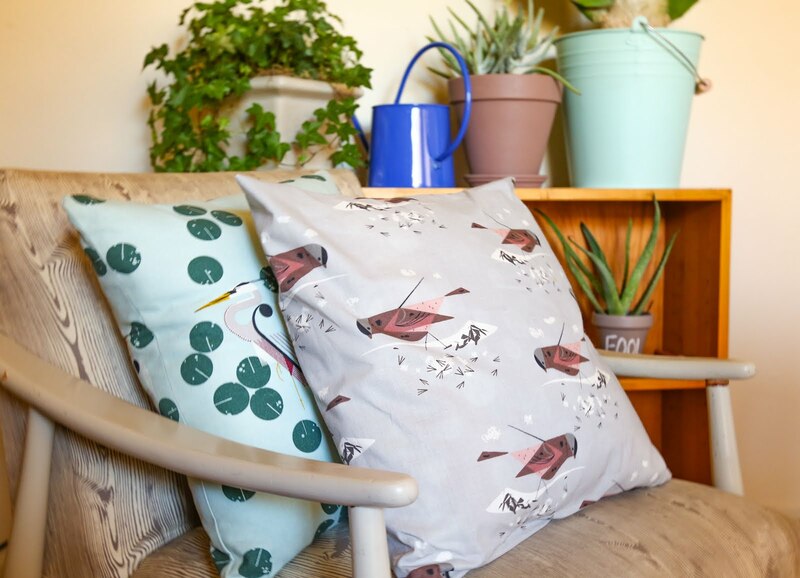 I would sew some cute pillow covers for me and my daughter-in-law. I'd make some quilts and pillows. 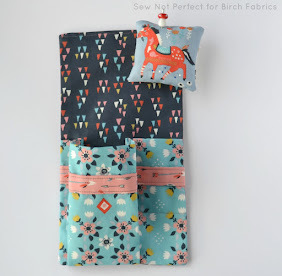 I am so grateful for your website and your store, Birch. I'm lucky enough to shop at both. I'm a quilter and that's what I use your fabrics for. Congrats. That is awesome that you reached 100K! And I am so thankful that you are having a giveaway to celebrate! YAY!!! Ooh. So cool. 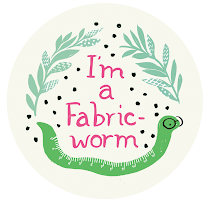 Yay for all the fabric worms! Glad to see over 100k likes for you. 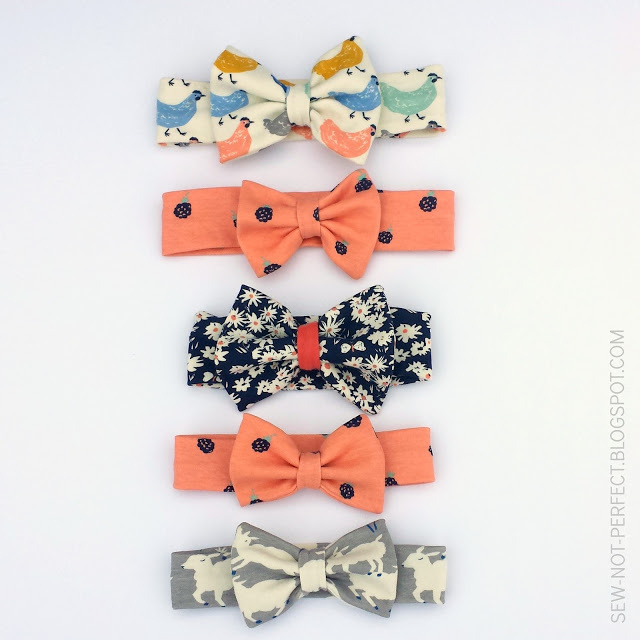 You have a wonderful online shop, and a wonderful giveaway. What a great way to celebrate. So cute...lots of ideas for projects! 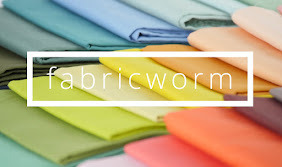 I love fabricworm!!! Such a great shop. I'd make a quilt with such beautiful fabric! Great shop.. Congrats on your success and thank you for sharing the love.. I always have at least 3 projects going that need supplies! Beautiful fabric. Thanks for the chance to win it. 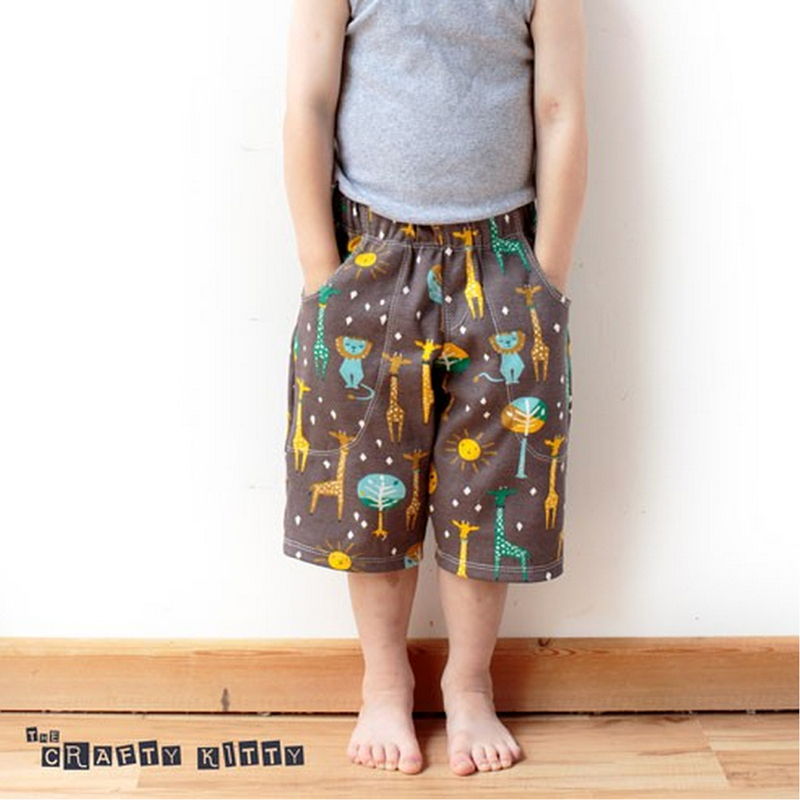 Woo hoo, love fabricworm, esp organic knits! Congrats! I am recent follower on facebook! Lots of baby quilts and some pillows too! Quilts for the grand kids. I'm dying to make a table runner for our dining room! Congrats on the likes! Congrats on the milestone! What a great giveaway!! If I win, I will make fabric baskets, totes and lunchbags to sell in order to supplement my meager Social Security income which is inadequate. It is difficult to buy enough fabric to offer a selection, so I don't have enough yet to open an Etsy store or do a Saturday farmer's market. This would be a godsend to help me get ahead. With some sales, I can then buy more fabric to make more products. Congratulations! With the fat quarter bundles and thread I would make quilts. I would love to wear the T-shirt . I would use the tote . Thank you for this fun giveaway. Yay! I'd make cloth toys! I'd make a quilt or three. Congratulations! A new bag would be on the agenda. Make stuff (after fondling the prizes) of course! Congrats on 100k likes. Hard to enter the contest but I think I finally got it done. Whew. Congrats on 100K!! I would definitely make a quilt for my cousins baby, due next Tuesday!! I would finally be able to put some sparks in my quilts with new fabrics. I would make some lovely gifts and something for myself with the winnings! This is a lap quilt waiting to happen. I love it! 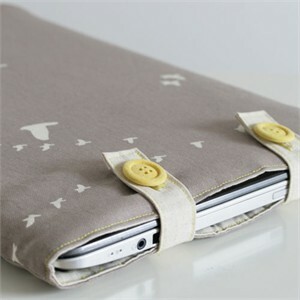 I would make gifts for friends, and use to teach my 4 girls to improve their sewing skills. I would love the thread for free motion quilting. Oh, I just love a collection of color. The fabric, well prbably use in a quilt! Love the site, the Facebook page....and the giveaways! What a great giveaway! I love Birch and Fabricworm. You always have the best sales! Fingers crossed! I would add it to my stash or make some wonderful gifts for family and friends. This would be a nice way to start out quilting with my two daughters in memory of their grandmother who passed away in late November. What an awesome giveaway!!! I would make some quilting projects with these goodies and add to my stash! Thanks! Congratulations on reaching 100k+! If I won I would sew...of course 😉! I love to make lap quilts for family and friends so the fabric bundles and threads would be a fantastic surprise! I'd be showing off the t-shirt & tote at our Saturday farmers' market while enjoying a fresh-baked danish with coffee and buying up lots of local produce. Thanks for celebrating with a giveaway! Congrats! What wouldn't I do with this bundle of wonderful things! 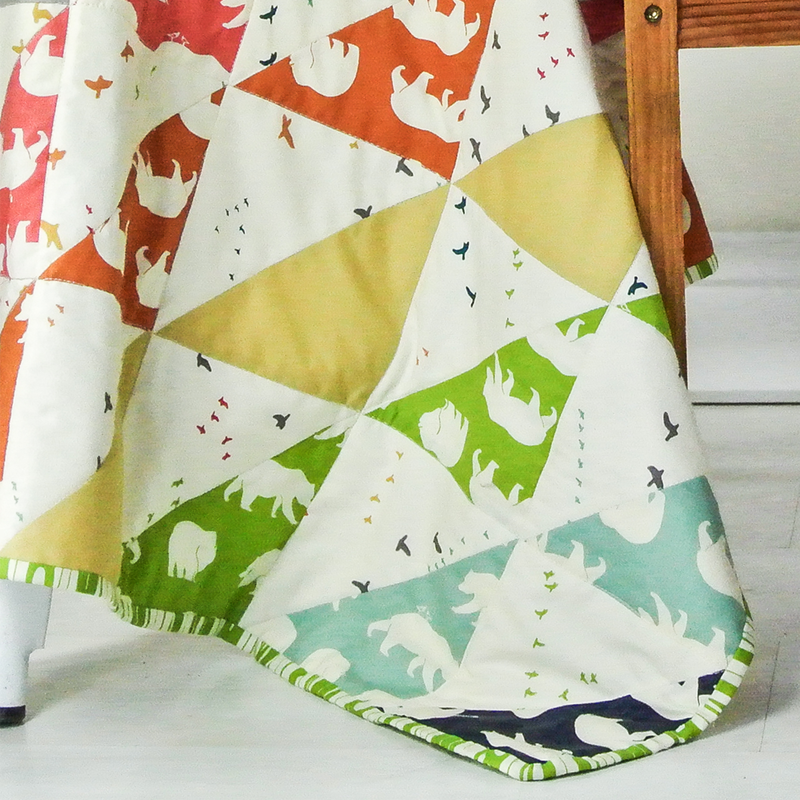 make quilts and sew things! SOOOO many projects that I could make with this. I just LOVE your fabric! Congratulations on your accomplishment!!! I'd love to have the chance to make a quilt for my soon-to-be daughter-in-law. I subscribe to your blog via email. This stuff would just feed my addiction to quilting, of course! Id love to win this one. Awesome give away. 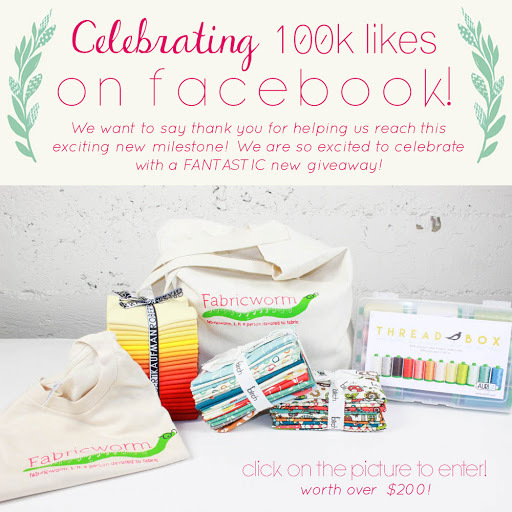 What an amazing giveaway - I would make a gorgeous quilt and use the tote bag to shop at my LQS! Wow, such a lovely giveaway. Needs to be a quilt for someone special! I'm sure there would be leftovers for small projects/gifts as well. As I love applique, I would most likely make appliqued pillows or a lap quilt. Congratulations! I would make a quilt for myself. Thank you for a great giveaway. Great giveaway!! Thanks for the chance. Wow! What a deal! I'd make a quilt of course! What a huge milestone! Thank you for this generous giveaway! Id make a gorgeous quilt! 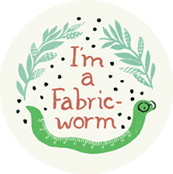 Always find my purchases from Fabric Worm as top quality. Would love to win this prize! Baby quilts from those cute fat quarter bundles, a nine patch throw from those beautiful kona solids, and I always need thread! Totes and t-shirts are always fabulous. :) Such a fun giveaway; thank you and congratulations! I would make headbands and skirts!!! Love everything in this giveaway!! 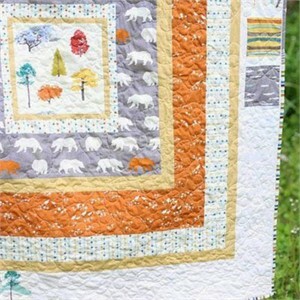 I would love to make a bright sunny quilt for my niece who graduates from college next year. Congrats!! I would make myself a quilt or possibly a couple of baby quilts. I would make some quilts! I am sure I could find a quilt or two to use them in. Beautiful fabrics. I would like to make a great modern quilt with those fabrics! That kona bundle looks beautiful! And i love Aurifil thread to piece and quilt with too. I'd proudly sport the t-shirt and tote! And I love your organics. I think I'd start with some new place mats for my kitchen table, and maybe a matching set for my daughter's home. I am thinking a nice geometric work of art :-) And would proudly sport your T you are my go to inspiration point for quilting and fabric! Congrats guys! I would use it for quilts! tote bag!!!! and dont get me started on that thread collection-so awesome! thanks! I think the fabric would be perfect for lap quilts. Thanks for the chance to win! What a great giveaway! I would make a quilt! Congrats on reaching your milestone and the great giveaway!!!! Awesome prize - can't wait to play and create!